The Nodding Onion, also known as sweet onion or barbecuing onion, is a wild plant native to western Canada. Nodding Onions are perennial plants with elongated pinkish colored bulbs, often grown in clusters, and nodding bunches of pink flowers that bloom from May to July. The plant reproduces from seed or bulb division. 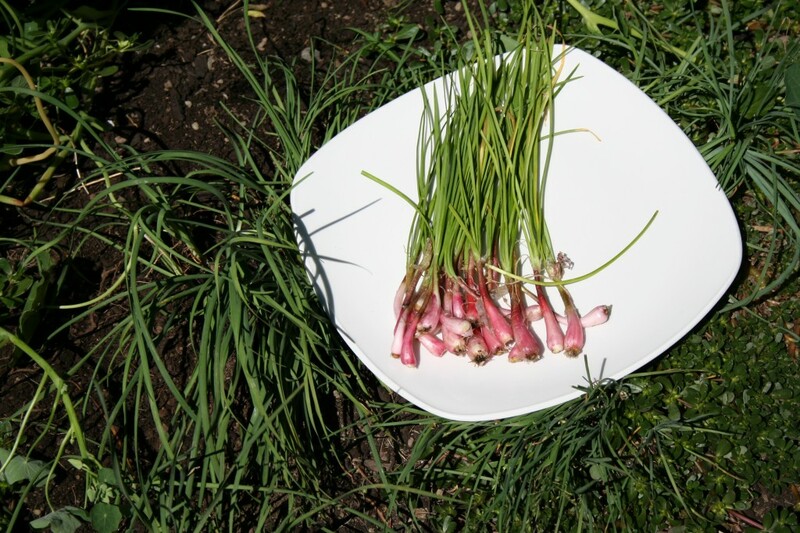 The bulbs, young leaves and flowers are all edible, either raw or cooked, and have a mild onion flavor, with the leaves tasting similar to chives. Bulbs like the Nodding Onion are an important traditional food of Interior Salish and neighboring indigenous peoples whose territories covered Southern British Columbia and the upper northwestern coast of the United States. Nodding Onions were usually harvested before flowering, the leaves braided and the bulbs cooked in earth ovens. Nodding Onions are seriously threatened in western Canada due to loss of habitat caused by housing and industrial development as well as from the impact of environmental pollution and invasive species. As the plants are lost, so is the historical knowledge and practice of gathering the plants practiced for generations by First Nations people. Traditional gathering sites have been lost to large housing subdivisions, big box store shopping centers, and even university campuses, although not without strong protests by First Nations and environmental groups. Protecting the Nodding Onion is important not only for the continued existence of the plant itself but also, perhaps more importantly, for the continued existence of the historical knowledge and practices associated with the gathering of this wild food. Through the addition of the Nodding Onion and other native wild foods to the Canadian Ark of Taste, we hope to raise awareness of the threats our important wild foods face and to help people to understand the importance of protecting wild, natural spaces and the edible biodiversity found across Canada. In addition, these foods are extremely important to the health and traditional cultural practices of the First Nations peoples and without them we lose a vital part of our Canadian heritage and history.